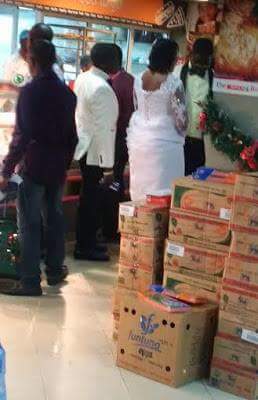 According to Ayo Ojeniyi who shared the picture, newly couple weds at spar Supermarket in Victoria Island and they decided to buy items for reception at the supermarket. Read! But what could have caused it??? purchased Meat Pie, Coca-Cola and other edible stuff..